the package price is €175 per person, which includes a VIP entrance ticket to the race with paddock access, camping accommodation in a souvenir tent, all food and drink throughout the weekend, a hands-on encounter with the new Civic Type R, a tour of the garage, and chance to meet the drivers at a special Q&A session. A lucky few will also be able to follow in their heroes racing line by taking their own Civic on a lap around the circuit before the 24 hour race gets under way. As all Civic Tyre R fans know, a specially prepared Civic Type R lapped the Nurbutgring Nordescheif in a time of 7 minutes 50.63 seconds in May 2014, beating both the SEAT Leon Cupra and the Megane RenaultSport Cup, though the Type R was not in street-legal, standard spec as the SEAT was. Held on the punishing 25 kilometre long combined Nordschleife and Grand Prix circuit, fans will cheer on Team Castrol Honda drivers Gabriele Tarquini and Tiago Monteiro as they vie for victory on one of racing's most hallowed stretches of racetrack. 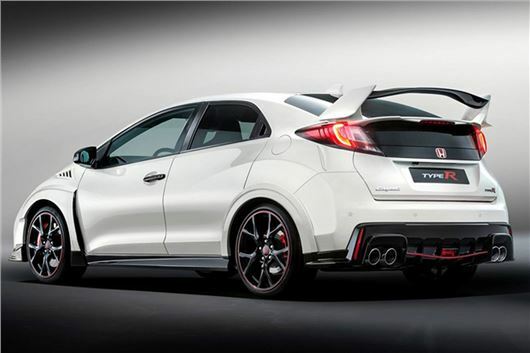 The all-new Civic Type R, dubbed the ‘race car for the road', was unveiled at the Geneva Motor Show on 3rd March in front of a crowd that included McLaren-Honda F1 driver Jenson Button, and WTCC driver Tarquini. To relive the evening, visit http://www.redline.global/itstime. To relive the Civic Type R's class leading lap record around the Nürburgring, click here.